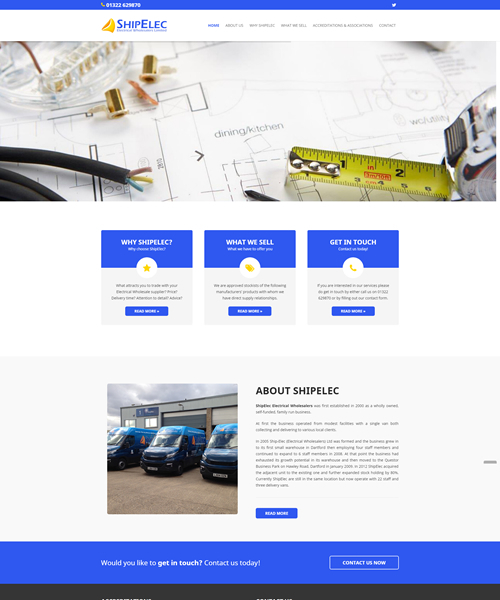 Website design for Ship Electrical – ShipElec Electrical Wholesalers was first established in 2000 as a wholly owned, self-funded, family run business. White Hat Web Design was the brainchild of Keith Stephenson in 2005 as a partnership and has developed over the years to newly formed company White Hat Web Marketing Ltd in 2013. We are now a dedicated team of developers, designers, content writers and multi-channel marketing specialists. White Hat offers the complete bespoke solution from design to development and most importantly the marketing of your web business. White Hat Web Marketing is Limited and registered in England and Wales under Company Number Reg No. 8714204.